When you buy a commercial property, you are making a big investment. As with any large investment, the more money you put into it, the more you will get in return. This investment doesn’t stop once you walk out the front door, either. In fact, an argument can be made that it is more important to make the outside of your property look its best than it is to focus on the interior. Why? It’s all about first impressions. Why do we give firm handshakes, dress professionally, or formally introduce ourselves to potential clients? To make a good first impression. First impressions start interactions with potential clients off on a positive note, setting you up for success. Investing in your property has the same effect for anyone passing by. A beautiful outdoor area with dramatic lighting draws people’s eyes to your building. Moreover, it tells them that you are professional and put effort into your business. When people form a positive impression of your property, they develop a positive impression of your business. That makes them much more likely to become clients or customers, because they will imagine themselves being treated with the same level of care. On the flip side, failing to maintain your property and neglecting the potential of the area around it sends a negative message to every single person who passes by and may end up costing you business. What can you do to make the exterior of your property shine? A new coat of paint and improvements to the actual building are nice, but they only go so far. If you have trees, grass, or plants around your property (or the opportunity to plant them), make it your goal to have the most striking landscape in your area. Good landscaping provides a welcoming environment that can serve to draw people in and make them feel more relaxed and comfortable, whether they are passersby, tenants, or potential clients. Consider creating an outdoor space for tenants, or designing a unique plant arrangement to stand out to people walking or driving by. After you have created a design for your property, it is important to set up a maintenance plan. Landscaping is a full time, year-round investment, and yours will need upkeep to ensure that it is looking its best. Install an irrigation system to run through your plant life, keep your entire garden lush, and make sure your grass stays green, then set up a plan with the company to keep your landscape healthy and beautiful. A beautiful landscape can be an amazing thing, but by itself it has limits. One of the biggest of those limits is that you’re only going to benefit from it during the day because people won’t be able to see how amazing it is once the sun goes down. Unless you decide to use landscape lighting. The right type of outdoor commercial lighting can go a long ways towards grabbing people’s attention and making your property shine. Increased visibility – Yes, lighting up your outdoor area at night will help you to show off the landscape in the dark. It does something even more important, though: it makes your business more visible. When people actually see your business, they’re more likely to actually come in. 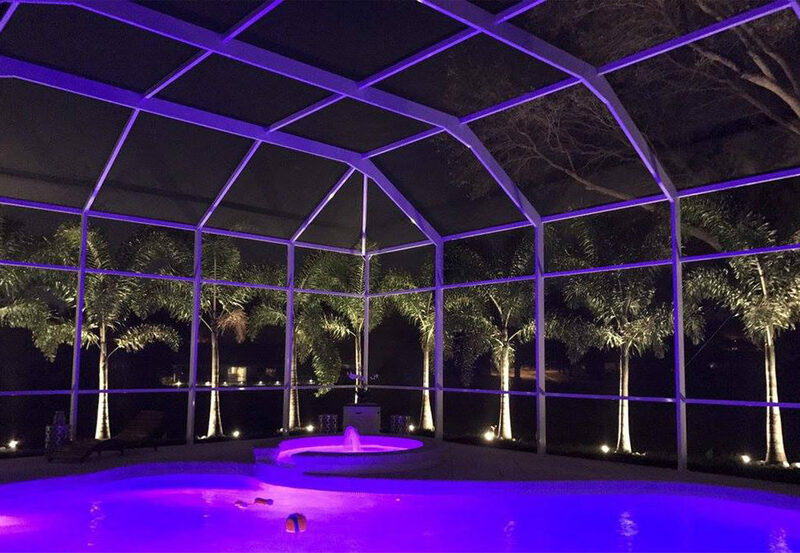 Getting the most out of your investment – Not only will lights allow you to show off your landscape at night in general, they can help you to highlight the absolute best features – and make them look even more dramatic. 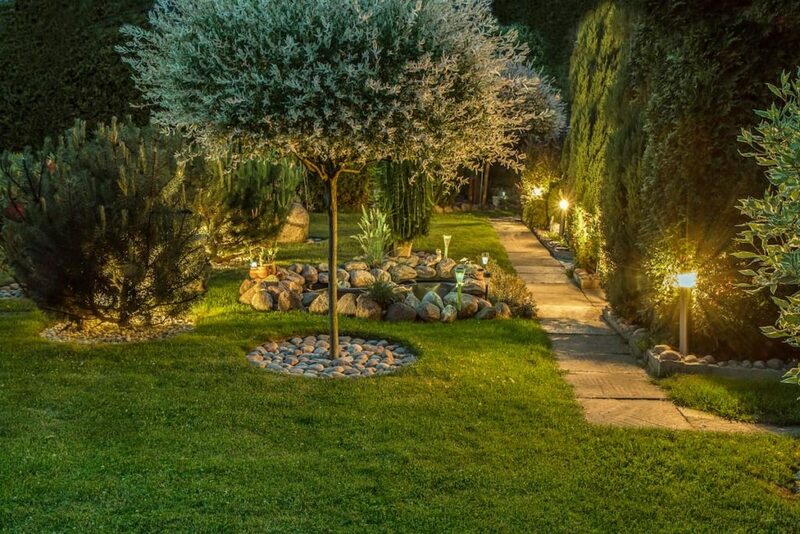 Standing out among the competition – Landscape lighting adds a unique detail and final touches of beauty around your property. It puts you one step ahead of the other businesses in the area. Improved safety – Keeping the area around your property well-lit keeps it safe. If your property has tenants, they will feel safer leaving later at night. Making this effort sends a message that you care about your tenants, the people who work inside of your property, and clients or customers. 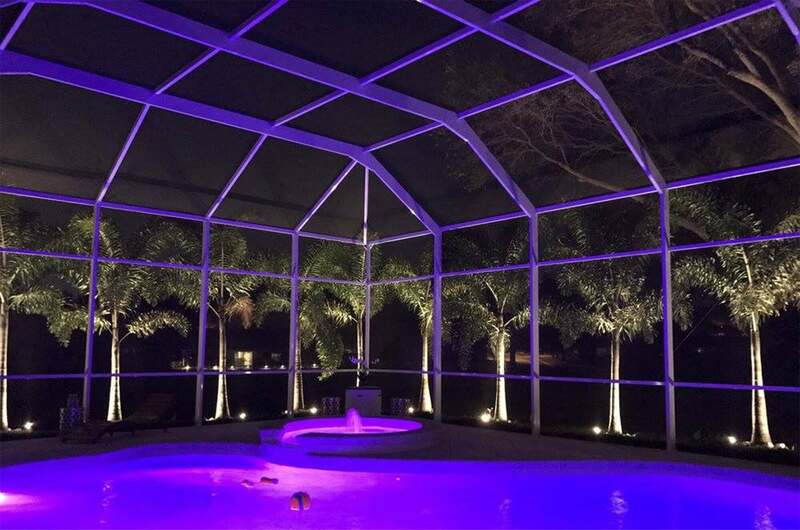 You can still be eco-friendly – By hiring a knowledgeable landscape lighting company, you can accentuate your property’s best features and light it up with an efficient strategy. Many landscape lighting specialists offer LED and eco-friendly bulbs that cut down on electricity costs. 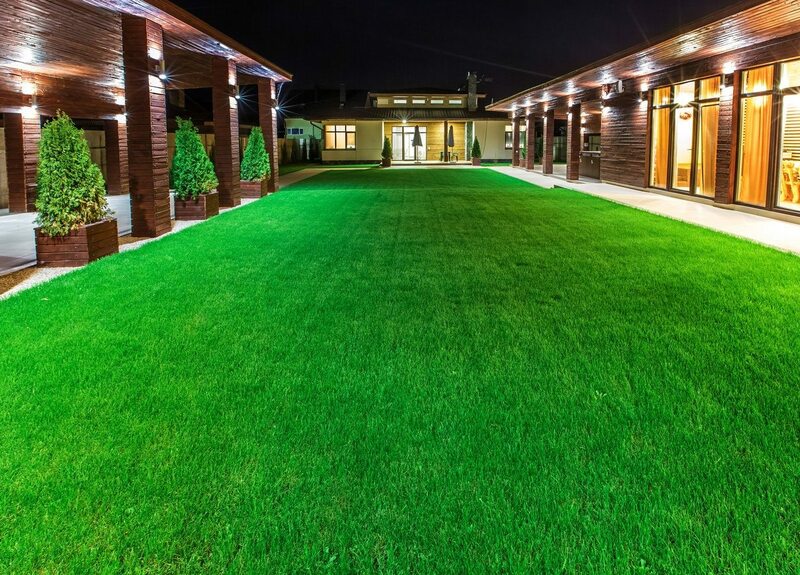 Want to see the benefits of landscape lighting for yourself? Check out the Palm Harbor Museum on Curlew Road. Our experts at Sunrise Irrigation & Sprinklers recently installed commercial lighting to enhance the beauty and character of this local treasure in the New Year and beyond. 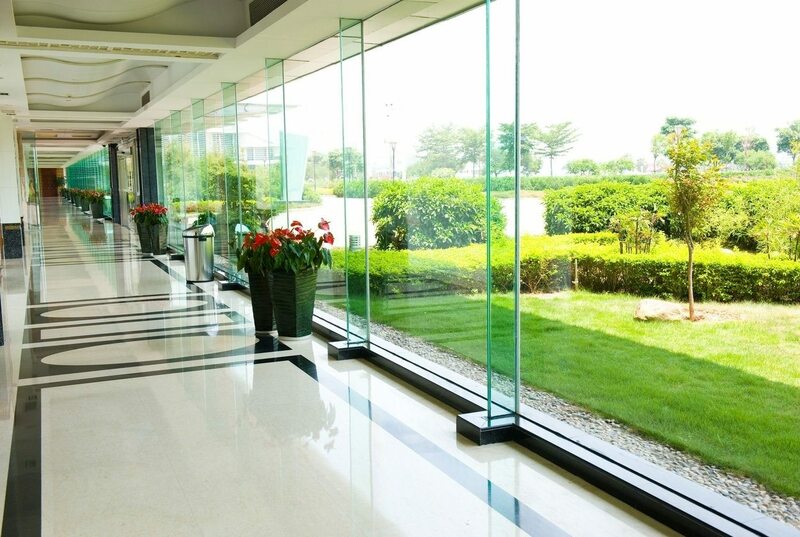 For more information about how you can invest in your commercial property, give us a call today.